Though boilers are a great choice for heating your home, they are not without their problems. Every once in a while, regardless of how well their users care for them, boilers will encounter issues. These issues will vary from the minor to the extreme, but will generally have one thing in common: they’ll need to be repaired as quickly as possible. Curious as to what these issues are? Here are 5 of the most common boiler repairs in Downers Grove, Illinois. At no point should there be water on the outside of your boiler. If you see water on the floor around your boiler, it is experiencing a leak, and should be repaired as quickly as possible. There are several causes of boiler leaks. In some cases, high water pressure is the culprit. In other cases, broken seals or loose joints will cause water to leak. 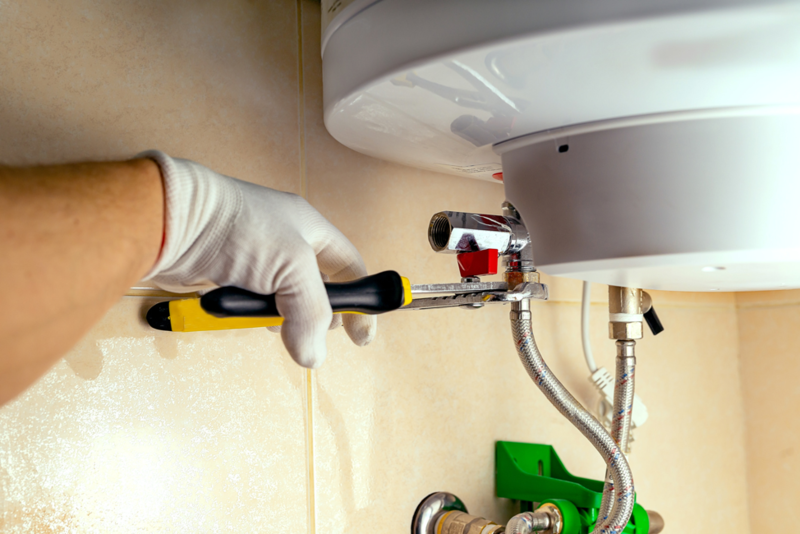 Whatever the cause of the leak, a Downers Grove boiler repair company will be able to identify its source, and make any necessary repairs. Boilers utilize air pressure in order to operate. This air pressure needs to be at a level of above one in order to create the desired effect. If you look at your boiler pressure gauge, and it’s registering at under one, your boiler has encountered problems. There are a few different causes of low pressure in boilers. The most common causes are leaks and broken valves. If you aren’t capable of fixing these problems yourself, it’s advised that you bring in a boiler repair company to fix them for you. Thermostat issues are fairly common with all types of home comfort systems. Boilers are certainly no exception to this. Generally, when thermostat issues arise, it’s due to their connection being compromised in some way. For instance, deteriorated connection wires can cause a thermostat to shut off or read temperatures other than what the boiler is producing. If this is happening to you, we recommend calling a boiler repair technician. He or she will be able to figure out the problem, and fix it in a timely manner. Some boilers make use of pilot lights to produce heat. These lights are essentially hot flames that can be seen from the outside of the boiler. Though they will typically function very reliably, they can become extinguished in some cases. Extinguished pilot lights can come about for a number of reasons. However, dirty thermocouples are generally the cause. Fortunately, thermocouples can be easily cleaned or replaced by a boiler repair company. One of the most common problems that long-term boiler users will encounter is kettling. Kettling occur after years of internal sludge buildup. This sludge cakes onto the inside of the boiler, restricting its normal flow of water. When water becomes restricted in this manner, it begins to heat up gradually. Eventually, it becomes so hot that it essentially turns the boiler into a tea kettle. You’ll generally know when your boiler is experiencing kettling because it will be producing a loud, hissing sound similar to the one made by tea kettles. If you experience this problem, we strongly recommend having your boiler flushed out by a specialist. Do You Require Boiler Repair in Downers Grove? Is your boiler experiencing any of the problems reviewed above? In need of professional boiler repair in Downers Grove? If so, Hearthstone Heating & Air Conditioning is the company to call. As the premier heating company in the Downers Grove area, we have helped countless homeowners get their boilers back on the right track. We look forward to doing the same for you.